Meter Schools provide a unique opportunity to meet face-to-face with our customers. Often, new problem-solving technology arises from these rare interactions. At the 2014 Heartland Metering and Technical Conference, Westar approached SSI CEO Bill Brayden with a simple request: they wanted to use our RPR-22PS Dual Pulse Isolation Relays to collect kWh pulses and kvar pulses – Watts and Vars – but that relay does not fit in their metering enclosure. Even before Bill came back from the conference on April 3rd, he and our engineering team had already started to solve this problem. Unlike larger corporations that may have several off-shore plants and labs, our engineers develop, assemble, and test both prototypes and finished products in our Colorado facility. As a result of this flexibility, combined with the fact that we were modifying an already existing device, we were able to ship Westar their finished products less than a month after the HMA Technical Conference. 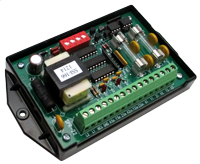 Now that Westar had their new relays, they had a new way of helping their large industrial clients avoid costly power factor penalties – a penalty sometimes imposed by utilities when an electrical system’s apparent power doesn’t match close enough to its real power. To understand power factor, imagine a nice, frosted beer stein, and a bartender pouring a microbrew from the tap. Once full, you notice that almost half the stein is full of foam, not beer, and you’re not happy about it. Yes, yes, you know that the foam is unavoidable and enhances the brew’s taste, but you are thirsty and paying a premium. This mug full of foamy brew is a good analogy for power factor. 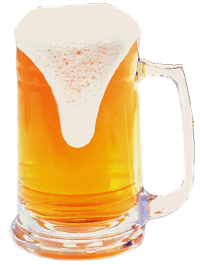 The liquid beer in the mug represents real power (kW), the foam represents reactive power (kVAR), while the total contents of the stein represents apparent power (kVA). Power Factor is the ratio of real power to apparent power, so if an electrical system’s power factor is too small, then it means there is too much “foam.” In most instances, capacitors can be added to inductive loads to correct the power factor and avoid costly penalties. Next time, we will discuss the art of using pulses to calculate power factor.